Dr. Erik Fisher has become known as a pioneer in his field. His unique way of both educating and supporting his clients has resulted in positive outcomes for many individuals, couples and families who have struggled with other approaches to treatment. Using a strategic combination of education, therapeutic interventions and creative, empowering approaches, he assists his clients on a cooperative journey to healing. Dr. Fisher has a great deal of experience working with Anxiety and Depression, Grief and Loss, Trauma and Recovery, Dissociative Disorders, Attention Deficit Disorders and Learning Disorders, and Spiritual Growth Issues. 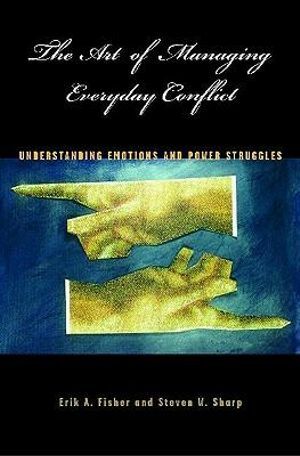 Dr. E… currently has published two books The Art of Managing Everyday Conflict: Understanding Emotions and Power Struggles and The Art of Empowered Parenting: The Manual You Wish Your Kids Came With. Both of these books focus on helping the reader understand the way we look at issues of power and the interplay of emotions in our culture. Future books are upcoming and are awaiting publication. Dr. E… has been working with the media for two decades. He has enjoyed multiple appearances on CNN, NBC, FOX, and has appeared on numerous radio shows across the U.S. and Canada. He has also been referenced in many prominent newspapers and magazines across North America. Dr. Fisher has been speaking to groups and organizations for two decades. From Fortune 500 companies to parents groups to Montessori preschool children. Topics range from Diversity, to Parenting, to Special Needs, Understanding Emotion, and many more subject areas. He is able to tailor his message to reach any audience.